The number one sign that your chimney is in need of repair is if you see that the mortar joints are damaged. Approach your chimney and take a look at the mortar that runs between the bricks, holding them together. If you notice cracks or holes here your mortar needs immediate repairs. Otherwise water will get inside and progress damage. 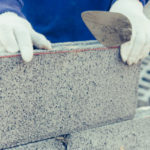 When quickly taken care of, mortar damage can be repaired with tuckpointing. Tuckpointing can make your chimney look like new and stop further problems from jeopardizing the structure and safety of your chimney. Did you throw some logs into your chimney only to realize an odd smell in your home? Or smoke filtering in? If so this likely means your chimney liner is not properly working. Chimney liners are fundamental as they help pull the fumes from the fireplace up and out of your home. When a chimney liner is not properly working you can get sick, and even die, from toxic fumes. A house fire also becomes a large possibility. If your chimney liner is damaged it can get dangerous real quick. Unfortunately, since you can’t see it from the outside, there are not always obvious signs to indicate chimney liner damage. Many years ago the old flash light trick was used to look down chimneys. Today we can see every last detail with clarity using a camera that records inside of your chimney. Having a professional out to inspect your chimney liner is highly recommended. Look inside of your firebox; do you notice broken pieces of clay tiles inside? Overtime all clay tiles start to wear and deteriorate. As they do, you may start to find their crumbling remains inside of your firebox. 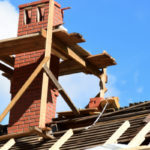 To avoid the possibility of a chimney rebuild, you should have this problem addressed the moment you pinpoint it. This problem might be caused be your chimney liner going bad, and remember without an efficient liner your chimney can’t properly regulate heat. Meaning flue tiles will expand and shrink due to vast temperature swings, causing cracks and eventually breakage. If you find entire bricks or chunks of bricks dotting your yard, your chimney is spalling. Spalling can, and must, be fixed in order to avoid your chimney completely tumbling over to the ground. 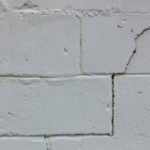 To fix this problem, all damaged bricks need to be removed and replaced with fresh mortar and bricks. A waterproof sealant is added to make sure this does not happen again. Also, other leading problems that cause spalling need to be checked and fixed as well. If you are like the majority of homeowners, you don’t get up to inspect the top of your chimney often enough. An important part of your chimney that requires regular inspections is the chimney crown. 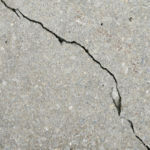 If you notice the chimney crown is cracked you need a quick solution, otherwise the crack is going to continue to expand. As water seeps in and freezes up the unprotected crack swells, causing the gap to widen more and more. Even worse, once water gets inside of the crown, it is free to run rampant through the rest of your chimney. This will cause further damage to brickwork and mortar joints. 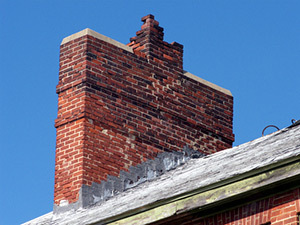 An unaddressed cracked chimney crown is often the cause of spalling or shaling bricks. While broken crowns can cause a lot of damage, they are easy to fix, especially when they are caught early on. Specialized coatings are made to seal cracks and restore crowns. Plus, the weather-resistant coating keeps chimney crowns protected from future weather damage. If you notice the wallpaper near your chimney is starting to look odd and damaged, this could be a sign that your fireplace is in need of repairs. If the crown is damaged water can seep down into your chimney, causing water damage that reaches your wallpaper. A cracked crown isn’t the only way that water gets into your chimney and damages your interior walls, any sort of chimney leak can make itself known through discoloring or peeling wallpaper. At Turnbull Masonry we provide superior chimney repairs and rebuilds. From our family to yours, allow us to help keep you and your home safe.